So how has the first 3 weeks of April been? Well, wet would be the answer, and thank heavens it has. The odd frost has occurred though and the overall temperatures have been very low to say the least. This put a check on what I was planning on doing this month but couldn’t hold off any longer so this weekend saw me catch up. It has to get warmer at some point doesn’t it!!! I finally sowed my carrots and Spring Onions the other day. At the same time I sowed some Beetroot and Radishes (varieties can be found in the 2012 plan over in the right hand column). I then immediately fleeced the bed for added frost protection and also to stop the carrot fly attacking although I don’t actually know if there is any around here. 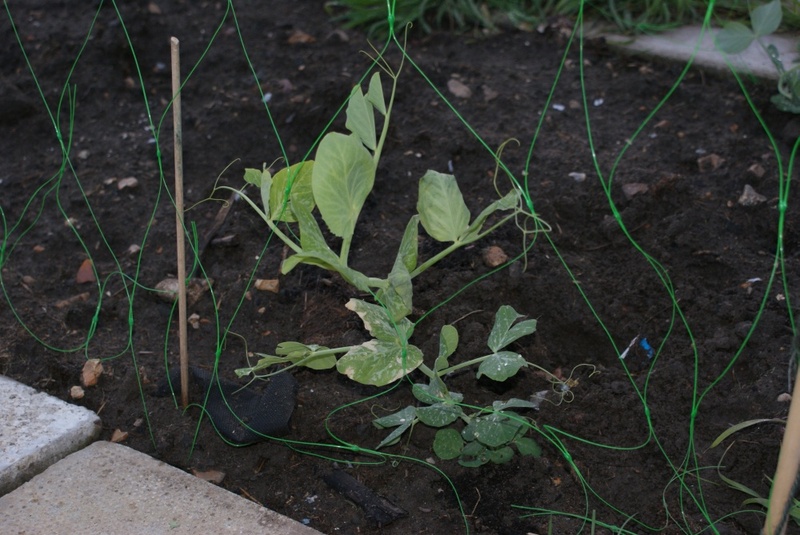 I also built the supports for the Peas and have planted out the ones I started indoors a while back and then filled in the spaces with direct sown seeds. I also planted out the Broadbeans and again filled in the gaps with directly sown seeds. This method worked fine for me last year so saw no reason to do one or the other this time round. 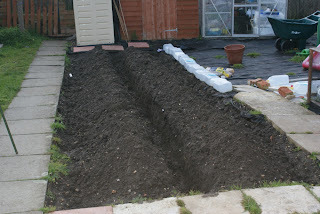 I also dug out the middle trench for the remaining seed potatoes and planted them yesterday in between the sharp showers. My Parsnips were also sown this weekend, again, just like last year, in cardboard tubes. 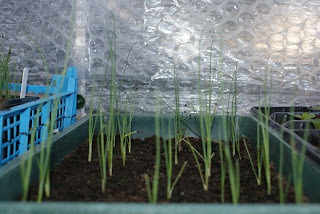 And now sit in the greenhouse next to some earlier sown Spring Onions. 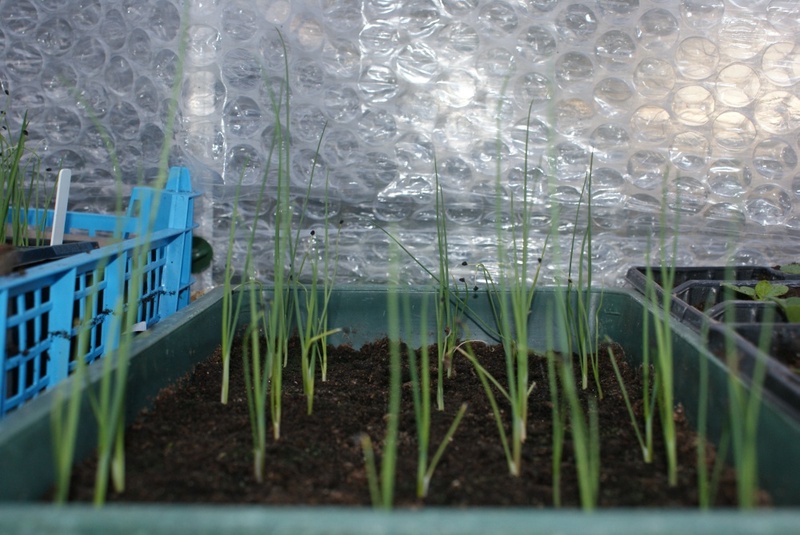 My Leeks are still in the same tray and growing nicely although I might pot these on to deeper pots and have a dozen or so per pot as that compost has probably seen all its nutrients used up. 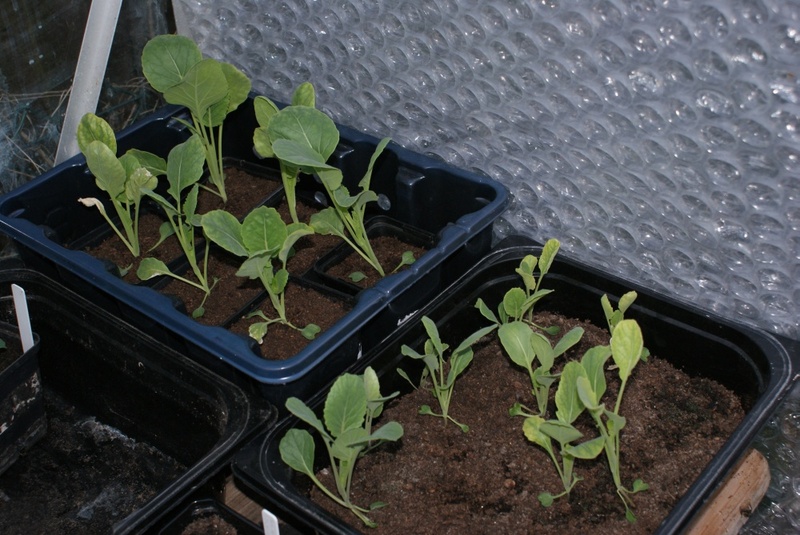 The Brussels are nearly ready for planting out and I am determined to have sprouts on the table for Christmas this year. I’m hoping they will love their new cage. I’m also growing some Busy Lizzies from seed to plant up in to hanging baskets. Never done it before but they are still growing nicely. 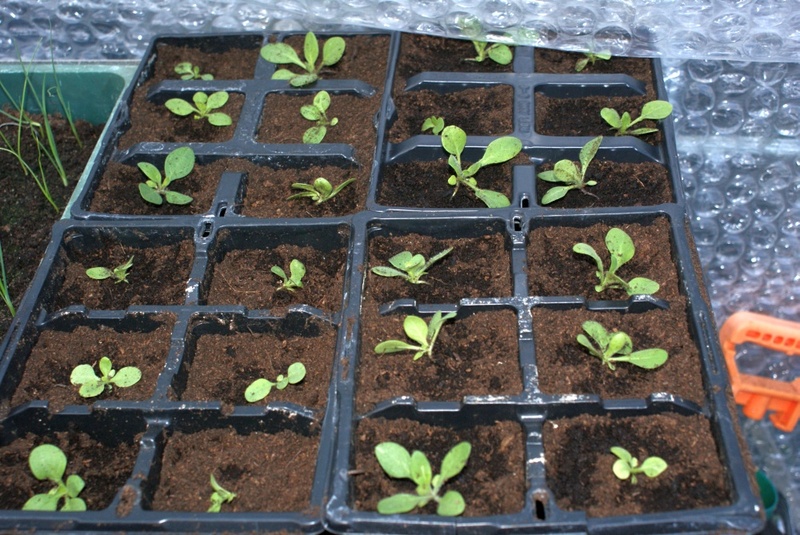 I potted them on in to individual pots this afternoon so we’ll see how they take. I also sowed some more and have them in the Airing Cupboard as we speak along with some more Cherry tomato seeds that I want to grow to see how much difference there is between sowing the same seeds nearly 3 months ago. 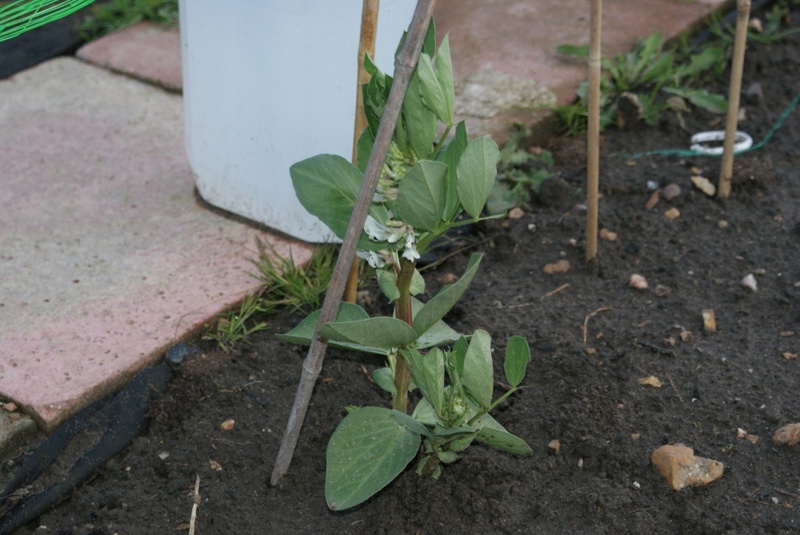 I’ve also started off my Dwarf French Beans which sit in our bedroom along with some more Lettuces and our Son’s bedroom has the Cabbages. 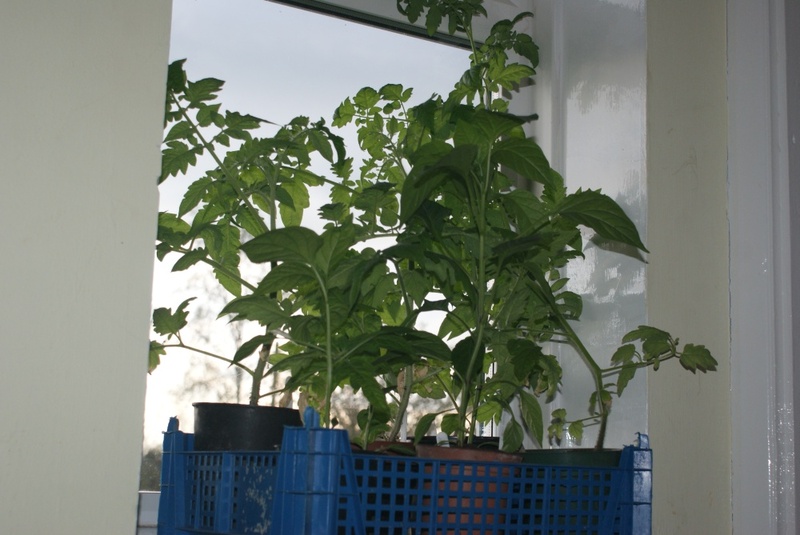 The Tomatoes and Chilli plants from 3 months ago are itching to get in to their final placings but its still too cold for my liking in the greenhouse. 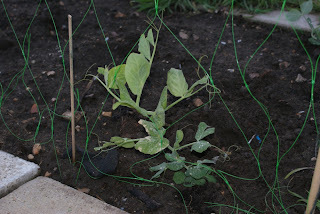 I may pot them on again in to even bigger pots and again bury the stem as far down as I can as they will soon become pot bound. Finally the Rhubarb is ready for harvesting so I guess I am going to get something out of the hungry gap afterall. Thanks for reading. Well, that was a rubbish long weekend of weather. 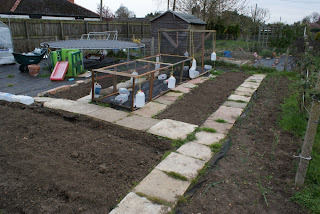 I got absolutely zero done in the garden as the temperature is still too low for me to risk planting out. 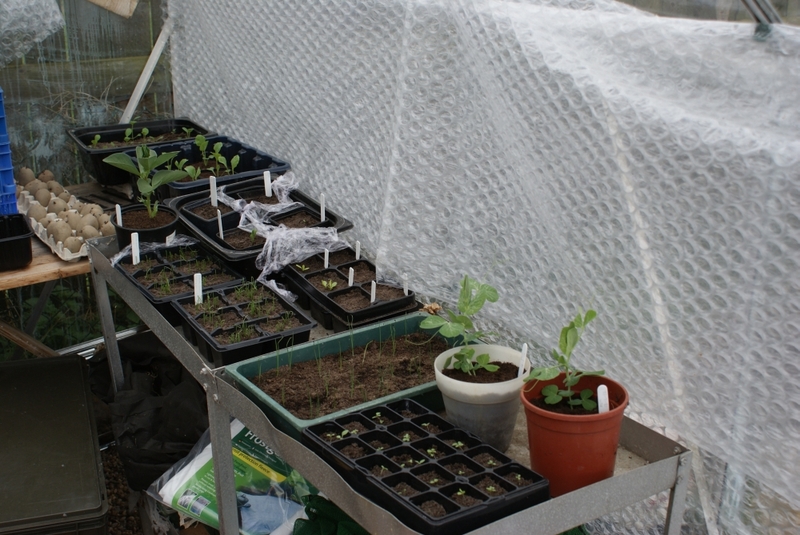 This coming weekend is set to tumble even further so whilst the greenhouse is still nice and warm with everything ticking over nicely in there, I am not rushing out to plant anything just yet. I got a new phone last week and immediately was impressed with the camera on it. I saw a lonely bee at work the other day and it was quite docile so I used the opportunity to take a photo of it. 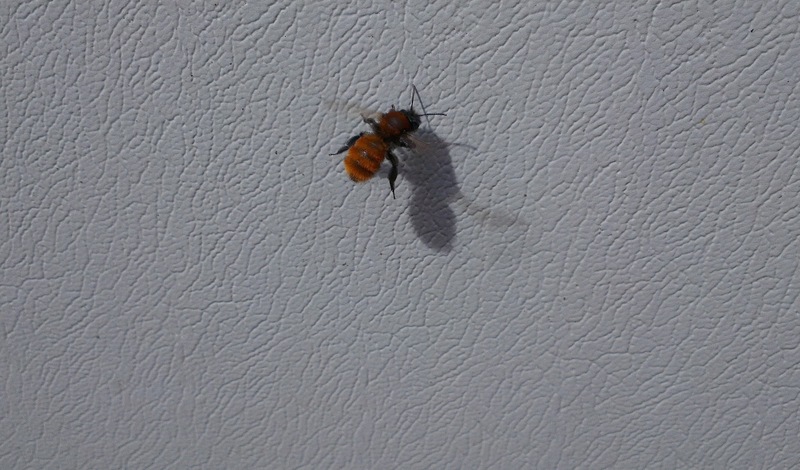 Just as I pressed the button, he flew off, thankfully though I got him as the shutter response is lightning fast. This sort of quality on a mobile phone is astounding and I am really happy with it. Hopefully this weather will pick up and night time temps increase to not lead to frosts and I can then go and finally plant out. On the plants front, my Tulips are starting to flower. My bulb garden at the front is North Facing so naturally they are flowering slightly later than elsewhere but i'm just chuffed that they are flowering at all. Oh the phone in question is the HTC One X on contract for £26 per month and it came out last Thursday. Thanks for reading. What a week we have just had. Glorious warm wall to wall sunshine (which was even hot on some days) and certainly had me receiving the symptoms of focal hyperhidrosis to put it nicely!!! A shame then that it’s come crashing back down to reality. SNOW is even on the cards. 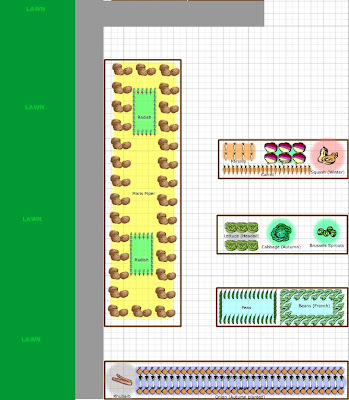 Thankfully, I managed to get a lot of work done in the garden. One of the biggest jobs was to create my potato bed. 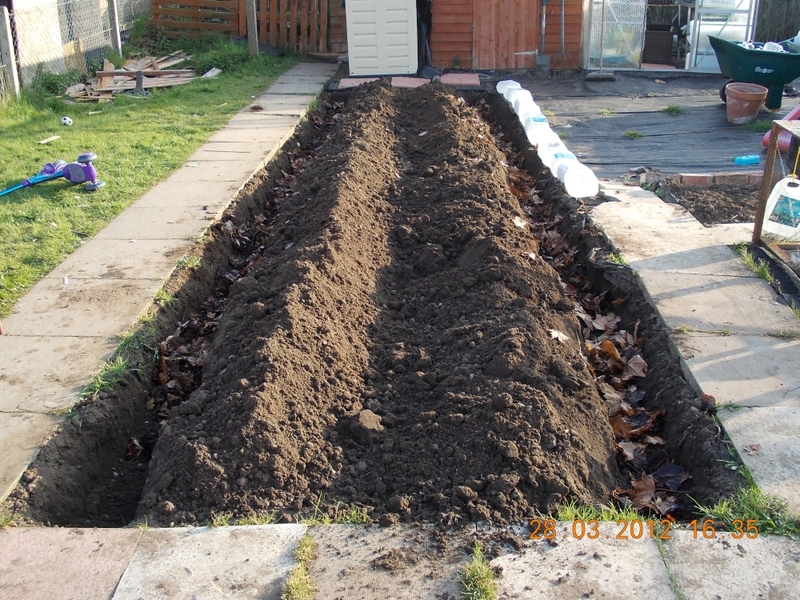 This involved removing the black membrane off the parts that were covered, then lightly fork over the uncovered soil, removing any weeds that had survived, and then finally dig out two 8m long trenches, 12” deep. I of course picked the warmest day to do this, a barmy 22c. 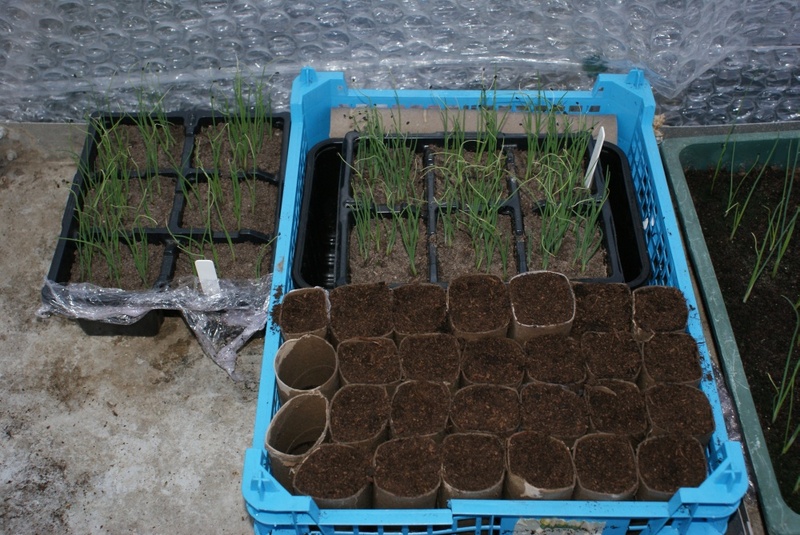 The bed will actually house 3 trenches but I could only manage the two. I’ll get the 3rd one done as I back fill the two side trenches over the next 2 weeks. 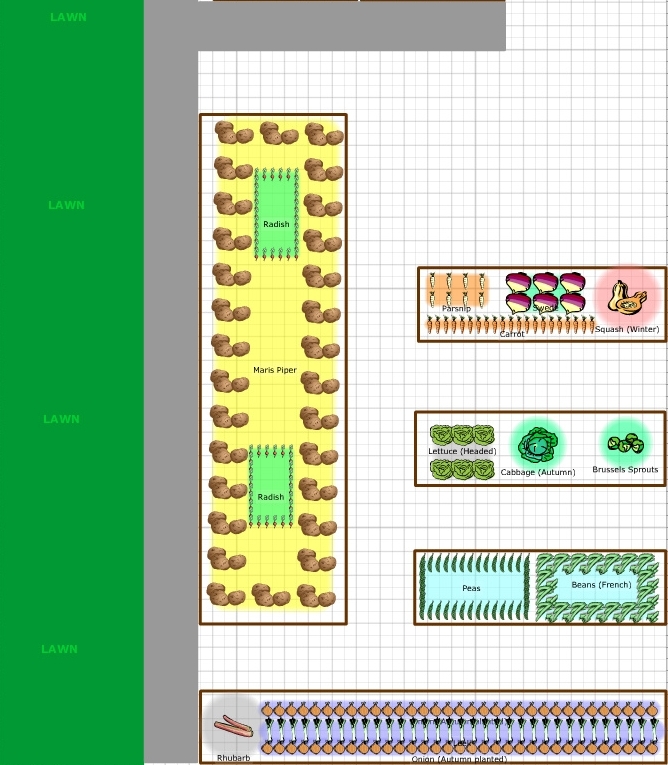 That way I can harvest the middle trench last and if I mess up with the side trenches due to frost, I will at least have a backup. 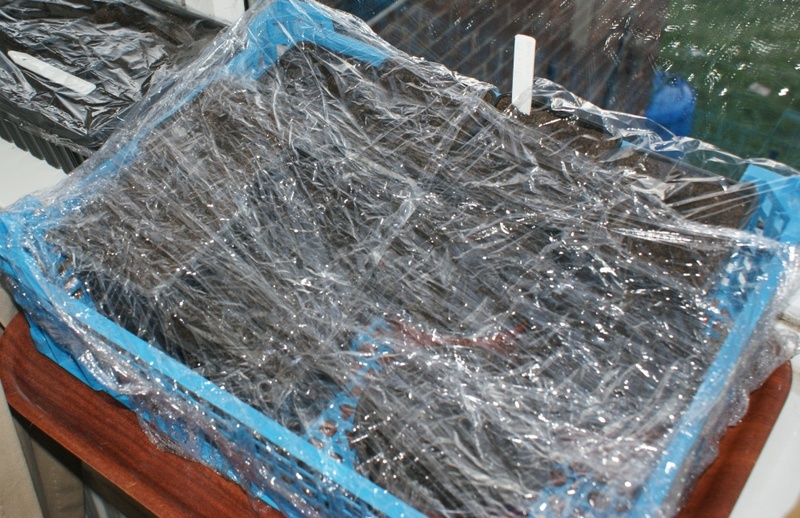 I also removed the weed membrane from the Root bed and the Legume bed and again weeded out the stubborn roots and lightly forked over the soil. I managed to find a lonesome Parsnip which looked perfectly fine but as it was just the one it was discarded. Not of course without snapping it open first to smell the sweetest Parsnip smell there is. 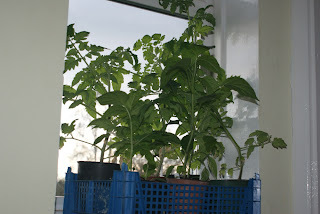 It certainly has me thinking about growing more this year and leaving them in the ground as it survived being completely covered up for 4 months. 2 weeks ago saw my second brassica cage be built. 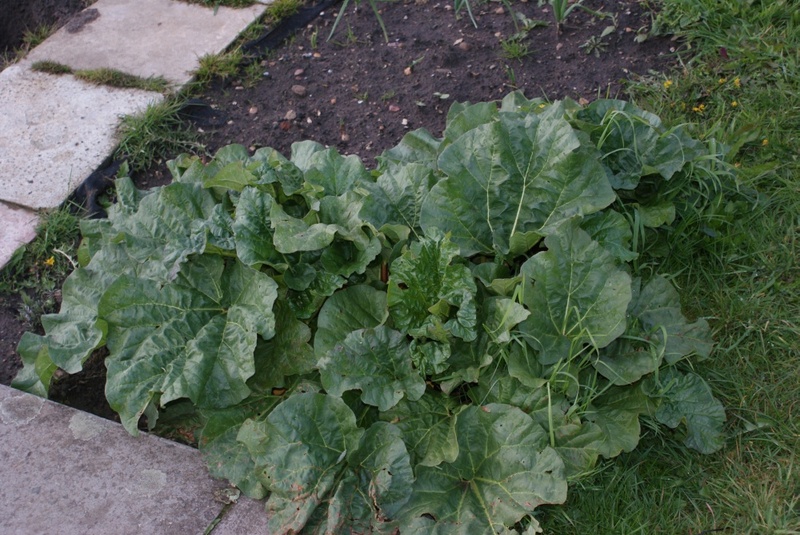 This one, a smaller but longer affair will house Cabbages, Purple Sprouting Broccoli, and Kale. It may only be one of each that fits in there but hey ho, at least it’s something new. 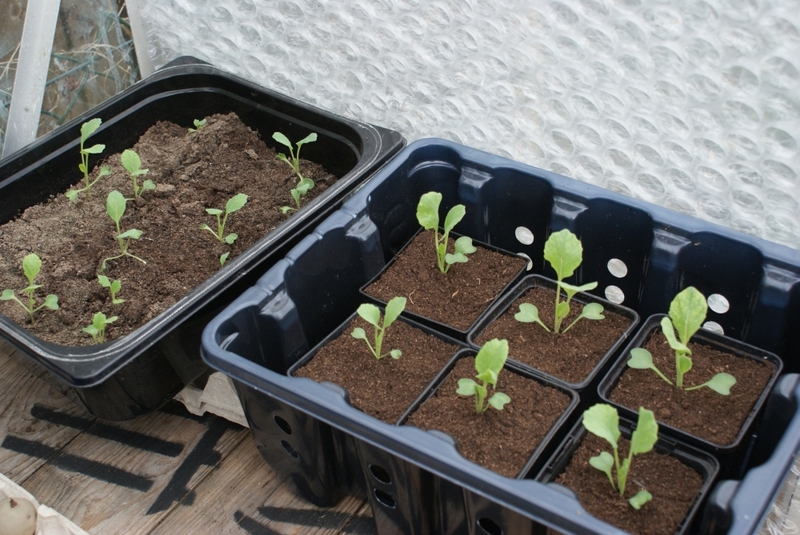 The seedlings for the PSB and Kale though blew me away with how fast they germinated. By far the fastest at only 3 days on the kitchen windowsill. 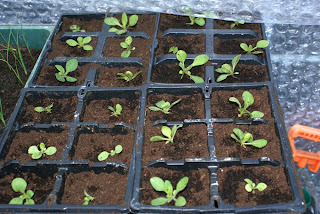 I sowed 3 per pot and they have all come up so I’ve thinned some out already to one per pot. Time will tell how they get on. I’ve had many failures this term though but nothing that I cannot rectify nor learn from for next year. 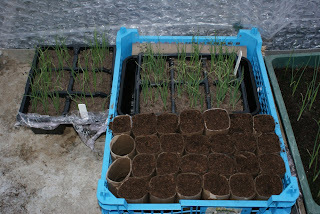 Firstly, the herbs I sowed failed miserably. 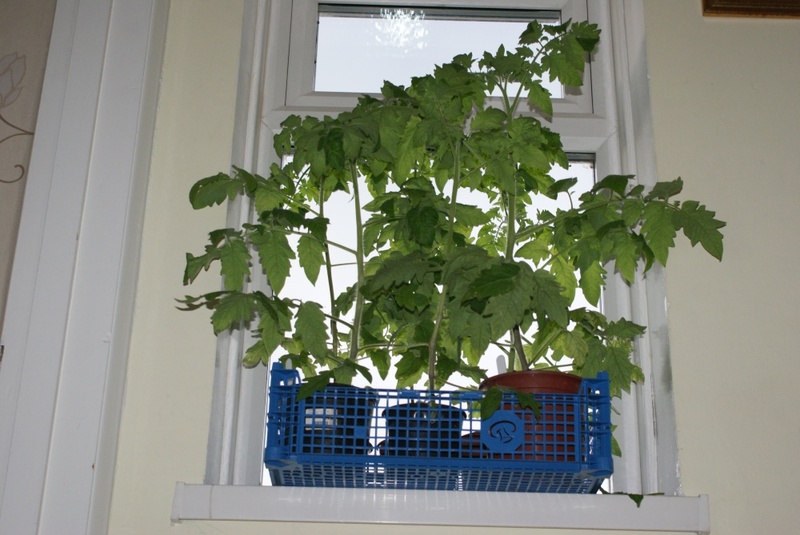 This was due to using biodegradable pots. Being such they lose their moisture very fast and this then is why I think my seeds failed to germinate. 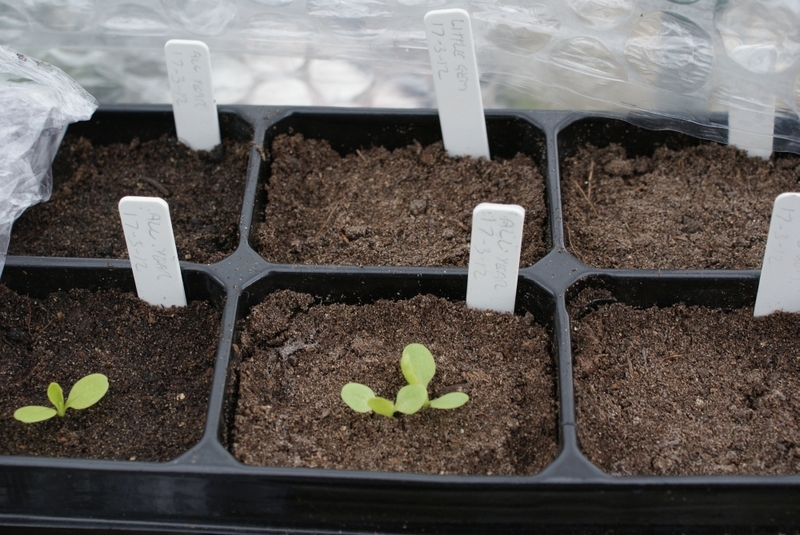 Other seedlings were lost due to accidents with family opening the airing cupboard door too fast and yet again I’ve failed to germinate Little Gem Lettuce seeds, how is that even possible??? Back to the good stuff though and the Leek seedlings have come on nicely and all my other seedlings have been potted on and so forth. 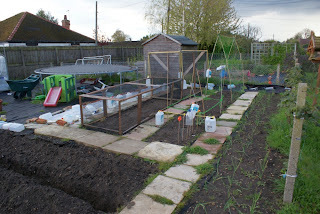 The onion bed has had a good weeding and I have now planted up the spare sets I started off in the greenhouse to fill in the gaps. 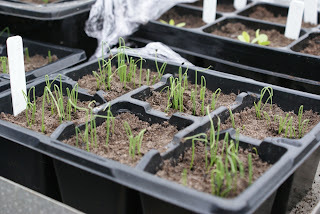 I've also started off a load of spring onion seeds in pots and will plant them out as I sow my carrots. 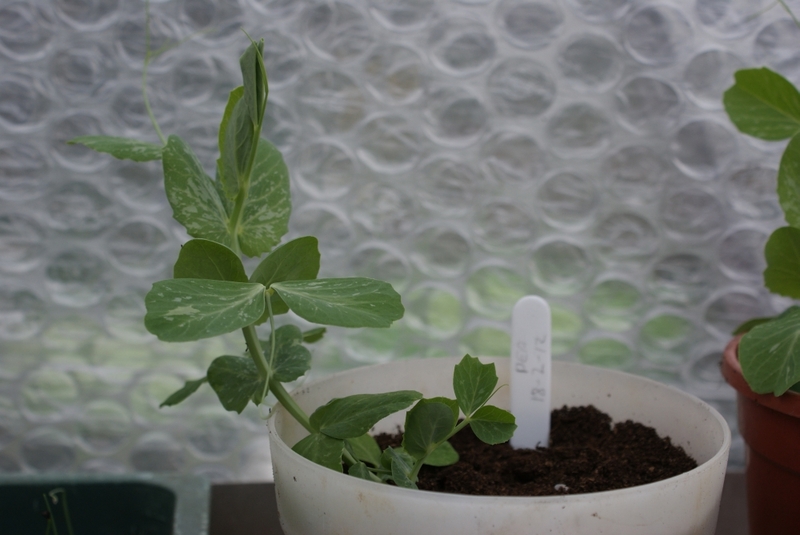 On to the immediately future then and this coming week sees me working just two days so out in the garden I shall go. The weather isn’t looking too good though so I may stick to the greenhouse and concentrate on my seedlings and wotnot. 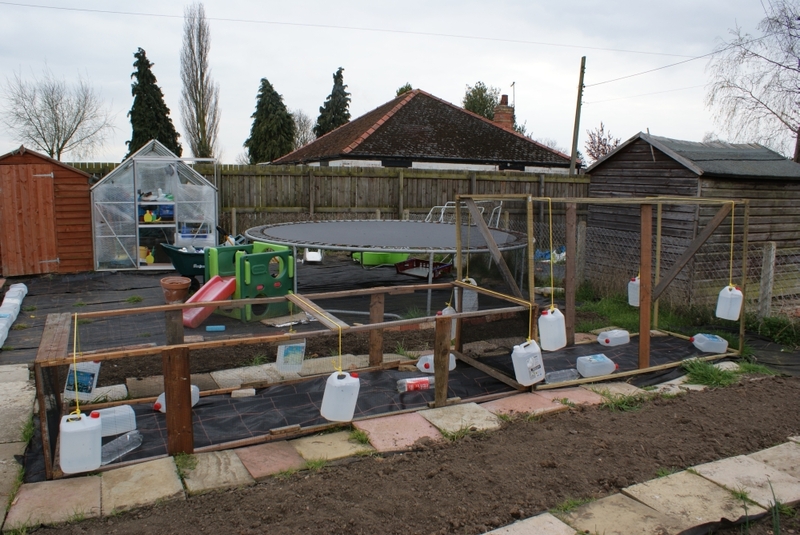 My legume bed will get its support frames put in ready for the plants and my carrots will need sowing. 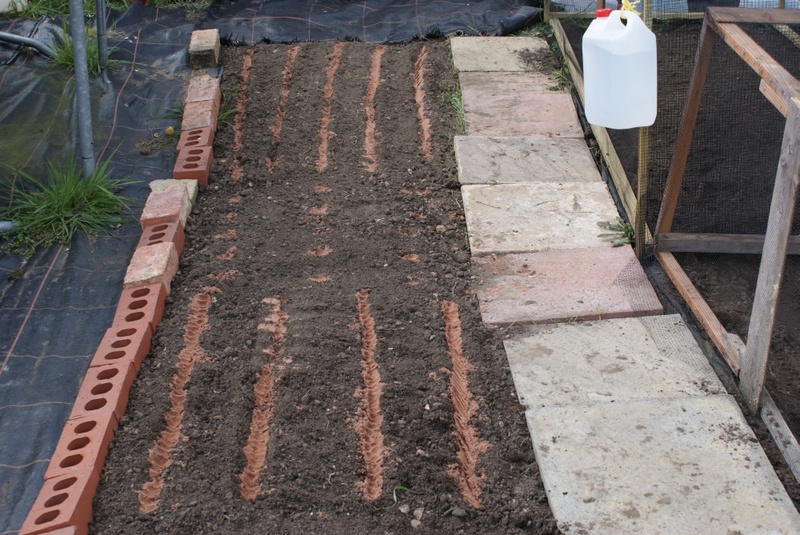 I will probably start off my Parsnips as well and I might even see about fitting in a couple of Sweetcorn plants should I choose to grow some. It’s full steam ahead as April's Easter weekend arrives thick and fast. Thanks for reading.